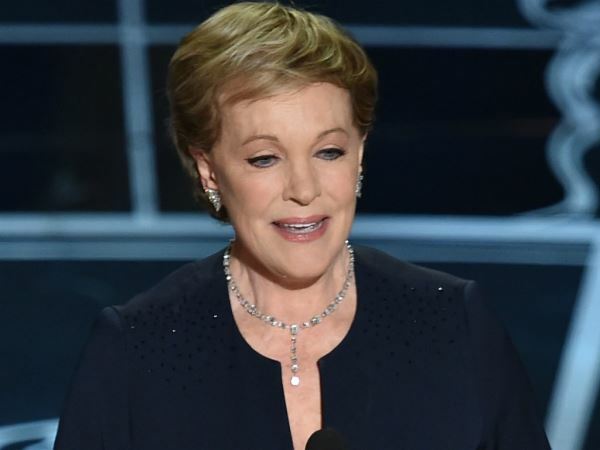 Dame Julie Andrews will release a second volume of her 2008 memoir, Home. The Sound of Music actress has already shared details of her childhood and the early years of her career. But on Monday, it was announced that the British star will open up about her life once she hit the big time. “My first memoir, Home, was about my childhood, early training and formative years in the Theater," she said in a statement issued to ET Online. "I am so pleased that my good friends at the Hachette Book Group have encouraged me to share the next phase of my life, beginning with my arrival in Hollywood and the wonderful movies and television programmes I was asked to be a part of." The 79-year-old starred on the West End and Broadway stages before making her film debut in Mary Poppins in 1964. She won an Academy Award for Best Actress for the title role, before receiving a second nomination for 1965 musical The Sound of Music. The hit film recently celebrated its 50th anniversary and Julie spoke about how unexpected its success was at the time. But as well as discussing her work, her new tome will feature details of her marriage to second husband Blake Edwards, who passed away in 2010, and her experiences as a mother to five children. The new book will be released in 2017.